The city of Fair Oaks Ranch, once a working ranch, has maintained its rolling hills, tree lined creeks and valleys synonymous with the beautiful Texas Hill County. 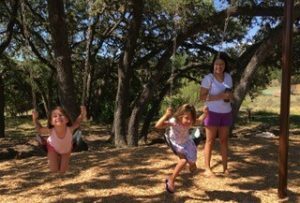 While striving to preserve the Hill Country feel, the Fair Oaks Ranch Homeowner’s Association (FORHA) is committed to maintaining and growing our Parks and Trails system for its members. Green space, including parks and trails, preserve ecosystems, provide opportunities to increase physical activity, and enhance our community and quality of life. FORHA aims to provide the Parks with recreational amenities that families can enjoy now and in the future. Our Trails, while well marked, remain in a close to natural state allowing hiking, biking and horseback riding similar to the original Ranch. FORHA hopes members will use and enjoy the Parks and Trails along with the Hill Country experience. Pictured is an Eastern Tiger Swallowtail Butterfly at Boots Park! This park is located at 7900 Pimlico Lane (south side) and has playground equipment for children 2-5 years of age. A new rope structure is being added for members over 5 years of age. With its beautiful oak trees, Norman Vestal Park is a perfect destination for family and friends to gather for picnics and parties. A natural stream often with pools of water containing tadpoles and minnows creates a nature study for children. This park also includes a quarter mile granite path where many residents walk their dogs. Trails 3 and 4 connect at each end of this park. Boots Gaubatz Park is located at 30502 Keeneland (north side) and has playground equipment for children 5-12 years old. 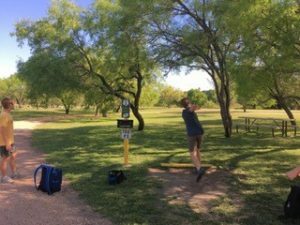 One of the most popular features of this park is the disc golf course that graces its outer edges. Granite walking paths total about 1/3 mile distance. A pavilion is popular for friends gathering to do morning yoga and other exercises. The John Weir Trail and the Primitive Area both connect to this park. 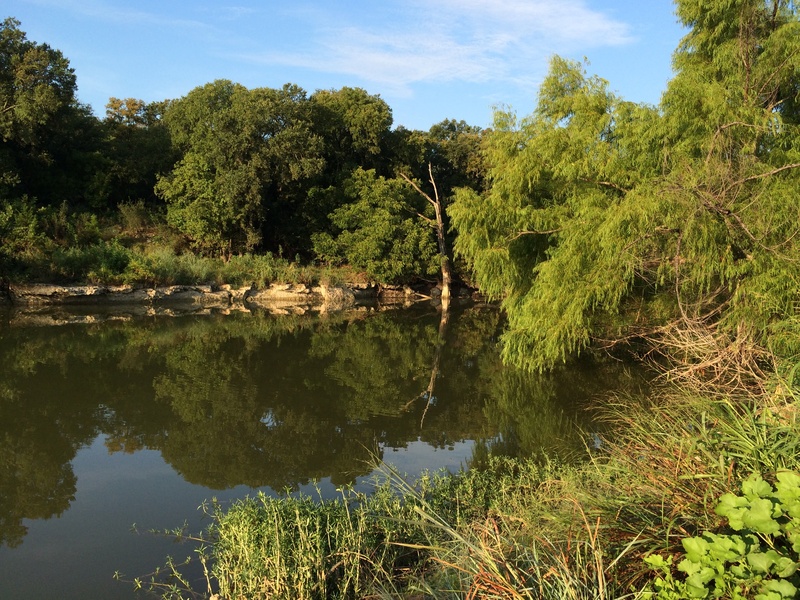 This park is accessible from Battle Intense on the north end of the bridge crossing Cibolo Creek (north side). This is the only linear trail park in the city. The nature trail is about 1.5 miles (one way) and highlights a historical site called the “Pinta Trail Loop” named after the pinto horses used by the early Native American trail users. This trail also leads you to the only fishing “hole” in the park system where a man-made dam creates a natural reservoir. Members of all ages enjoy catch and release fishing in the one-acre park. This is a very popular trail for members and their dogs because it is the easiest trail to navigate and follows the beautiful Cibolo Creek. This Trail connects to Trail 3 at one end (near Ralph Fair Road) and the John Weir Trail at the other end (near the trail’s parking lot). The Fair Oaks Ranch Homeowners Association maintains 11 miles of beautiful oak-lined trails that wind throughout the City of Fair Oaks Ranch. Members may enjoy hiking, bicycling, jogging and horse back riding on these trails. However, motorized vehicles, including golf carts and ATVs are prohibited. Note: Trails are not ADA accessible. All trails are marked with trail signs. Please refer to map for trail entrances. This trail follows Post Oak Creek and is heavily wooded which provides wonderful shade. It is fairly easy to navigate with only a few creek crossings. This trail connects to Trail 2. Of all the trails, Trail 2 is probably the most challenging because it crosses Post Oak Creek several times and goes up on a hillside where the trail narrows, making it a thrilling bike ride! This trail connects to Trail 1 and 3. The biggest variety of interesting vegetation can be seen on this trail and it is the longest trail in the trail system. Starting at Vestal Park you pass through sotol yucca before you enter sections of legacy oak trees with plenty of shade. This trail winds behind the city campus and along Ralph Fair Road before it intersects with Cibolo Creek Nature Trail Park and Trail 2. It makes for a great bike ride or trail run. Trail 4 is short and one of the most shaded trails in the system. It is easy to navigate and at times you feel like you are in someone's back yard. Just follow the signs and you will stay on FORHA property. It connects to Vestal Park and dead ends at Dietz Elkhorn. This trail is named after a former FORHA President and is the shortest trail in the system at .56 miles one way. It connects Boots Park and Cibolo Creek Nature Trail Park. This trail is easy except where you will cross Cibolo Creek and have to navigate a steep hill. 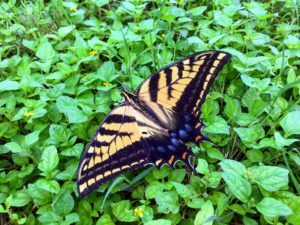 For members who are seeking to hike in a more primitive area, where FORHA has not touched nature, go to the Cibolo Creek behind Deer Meadows Estate Subdivision. This area has no man-made trails or signs because it is located in the flood plain of Cibolo Creek. This creek has beautiful rock formations and cliffs that you will not see anywhere else in the trail system. The best time of year to hike the primitive area (marked on the trail map) is after the first frost until the weeds start getting tall (normally January through March). The easiest way to access the primitive area is a short hike from the Boots Gaubatz parking lot to the Cibolo Creek. Turn left (North) to go up the creek. FORHA property is located along the left side to the middle of the creek.